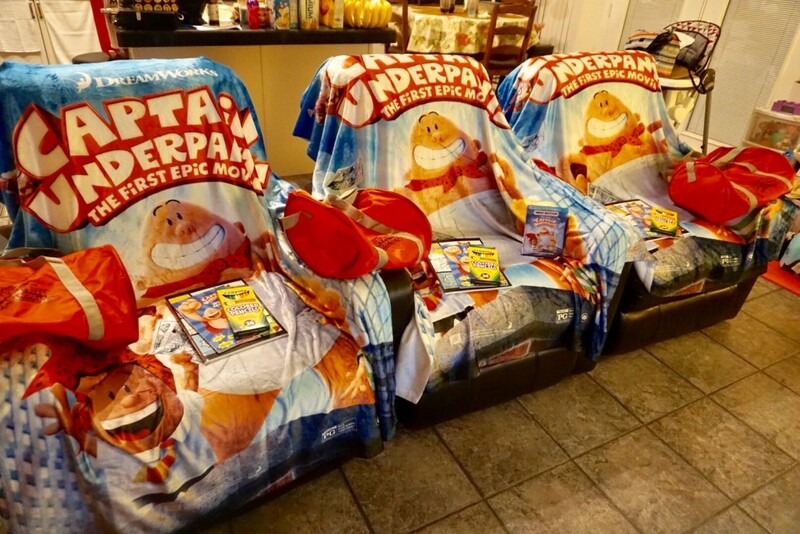 *We were sent a family movie night kit from Dreamworks for the Captain Underpants DVD release in exchange for this post. All opinions are my own. Going to the movies with all 4 kids is very rare…very very rare for us! 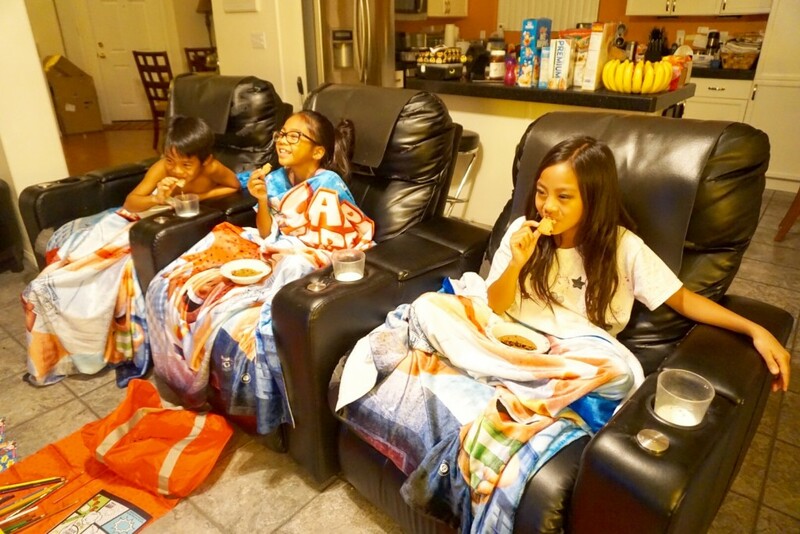 The kids already know our movie nights consist of making cookies, popcorn and vegging out on the couch as a family. 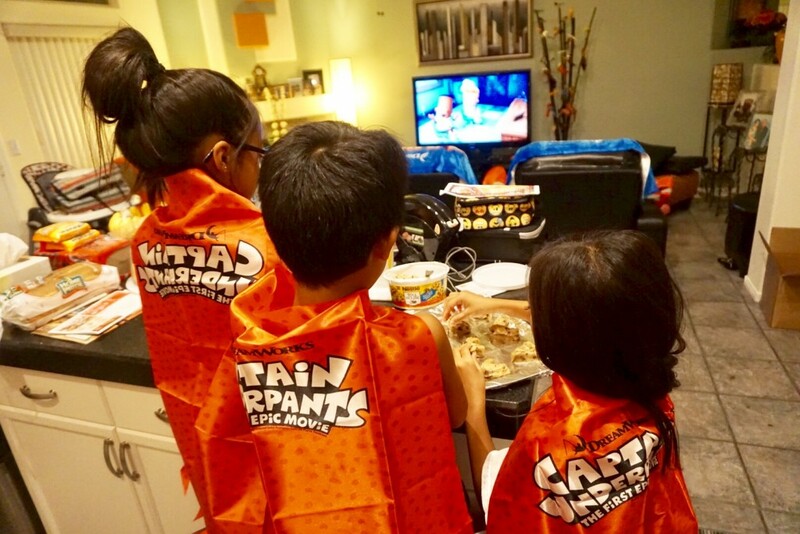 The kids have been dying to watch Captain Underpants and have been super patient in waiting for it to come out on Blu Ray/DVD. 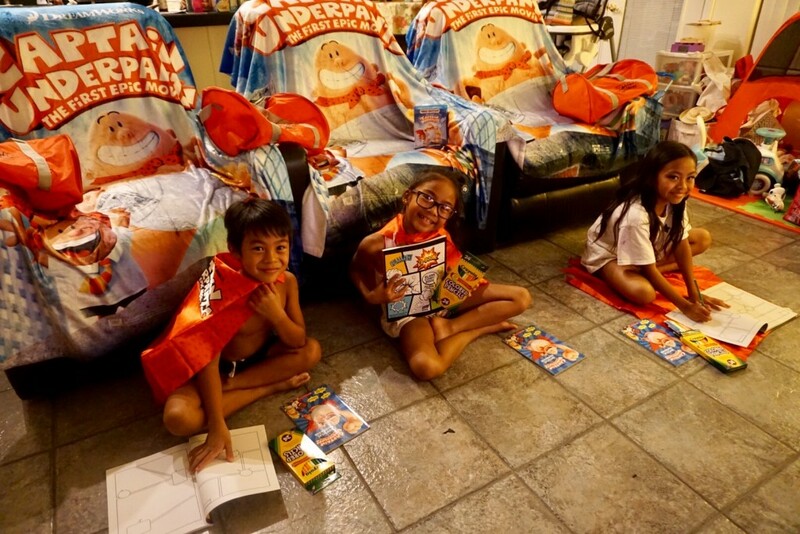 Thanks to Dreamworks for sending us the most amazing Captain Underpants themed goodies to facilitate another memorable movie night! Be sure to check get your copy available now…currently on repeat at home for us!!! CAPTAIN UNDERPANTS: THE FIRST EPIC MOVIE is directed by David Soren (Turbo) with Mireille Soria and Mark Swift serving as producers. 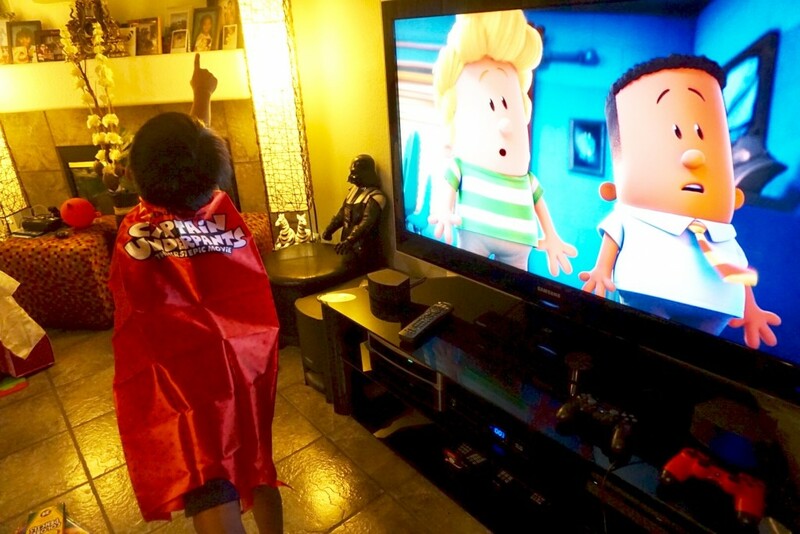 The epic adventure continues with 30+ minutes of action-packed special features on CAPTAINUNDERPANTS HERO EDITION. From engaging features, such as “The Really Awesome Adventures ofCaptain Underpants” Motion Comic and “The Professor Poopypants (Totally Original and Supercool) Guide to Being a Villain” to riotous deleted scenes, to a lyric video from “Weird Al” Yankovic and a Q&A with the film’s stars, the hilarity never stops!